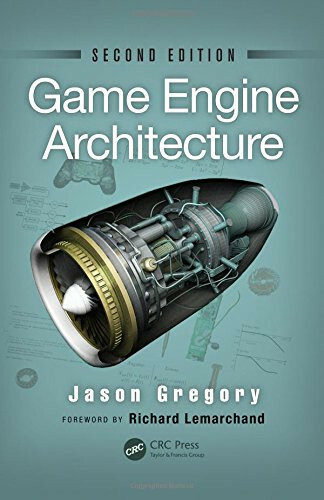 The book Game Engine Architecture by Jason Gregory presents the theory underlying various subsystems that comprise a commercial game engine as well as the data structures, algorithms, and software interfaces that are typically used to implement them. It primarily focuses on the engine itself, including a host of low-level foundation systems, the rendering engine, the collision system, the physics simulation, character animation, and audio. An in-depth discussion on the "gameplay foundation layer" delves into the game's object model, world editor, event system, and scripting system. The text also touches on some aspects of gameplay programming, including player mechanics, cameras, and AI. Jason Gregory is lead gameplay programmer at Naughty Dog, a Los Angeles-based company owned by Sony Computer Entertainment America. A graduate of the University of Waterloo in Ontario, he has worked as a software engineer in the games industry since March 1999, and as a professional software engineer since 1994. He got his start in game programming at Midway Home Entertainment. In 2003, he moved to Electronic Arts Los Angeles, where he worked on engine and game play technology. The author of the book Game Engine Architecture, he has also developed and taught courses in game technology at the University of Southern California.